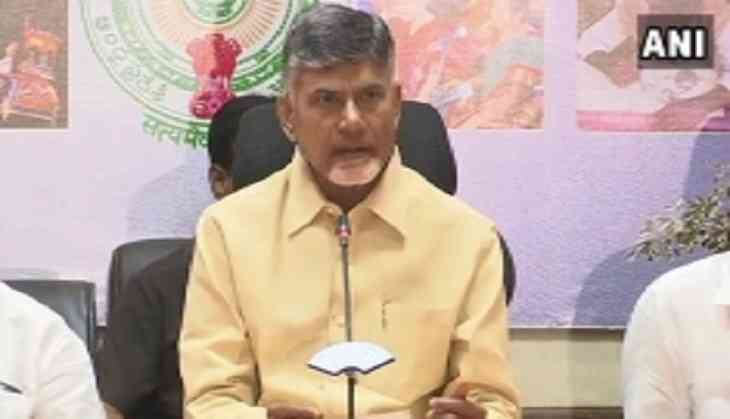 Andhra Pradesh Chief Minister N. Chandrababu Naidu on Friday said that people of the state believed in the Telugu Desam Party (TDP) despite lies being spread around. He held the Nandyal by-polls and today's Kakinada municipal corporation election results as testament to the same. The TDP had won the Nandyal by-poll by a margin of over 27,000 votes, and the TDP-BJP alliance bagged 35 seats out of the 48 in Kakinada municipal corporation election today, with TDP bagging 32 alone. He praised the voters for not losing faith, alleging that some people conspired against the government and attempted to divide the public on caste and religion. "Many people conspired against the government, tried to create obstacles, spewed venom, tried to divide public on caste, religion, but public watched everything. They gave the result in favour of us in Nandyal," said the TDP President. "Kakinada municipal corporation election was unexpected as some issues are pending in court. However, people believed in me and today result is the proof," he added. He also shared the government's plans for development and welfare of the state, and promised to develop Kakinada and Nandyal as role models. Keeping stability and sustainability at the fore, Naidu said that the TDP-led government has managed water for irrigation in most parts of the state despite lack of rains. The Chief Minister also said that using technology to counter corruption will replace the need for bigger currency notes. "I feel there is no need of bigger notes. Rs. 200 note is enough," he quipped. He expressed pride for encouraging sports personalities like P.V. Sindhu, Srikanth Kidambi, Jyothi surekha, Devisri Prasad (ten year old boy who set Guinness record in limbo skating). Speaking on the big win at Kakinada, he also praised the senior party leaders, and added that the government will balance governance and poll management, deeming both as equally important. "All our senior leaders worked at ground level without any egos that resulted in this clear majority," he said. Naidu further assured that the election held once in five years will help in focussing on development. "There are many Telugu people in Texas, suffering in hurricane. Our new wing will see how to help them." The results of Kakinada municipal corporation election came as humiliation to the opposition party YSR Congress that lost to TDP in the Nandyal by-elections as well.